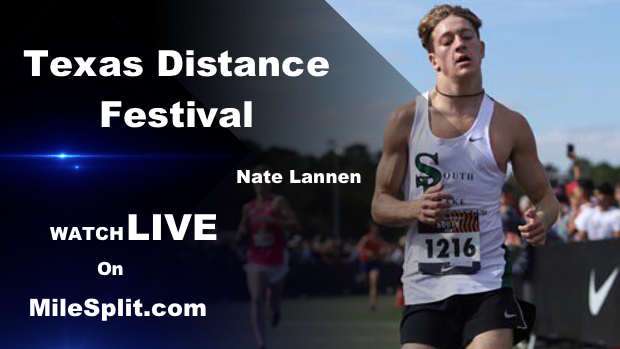 The Girls Elite 5K field doesn't have the national draw this year like the boys race does. But, it does have some elite national level runners with our own Texas girls. 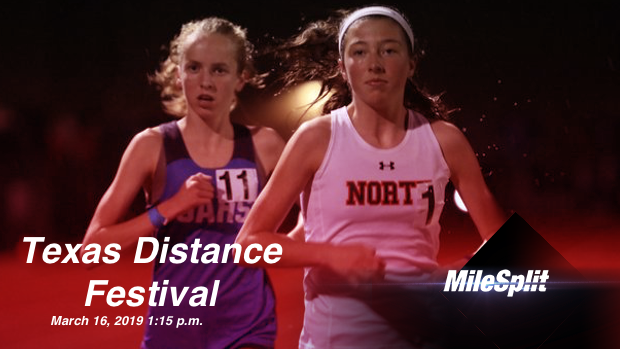 This race will be just as good or better than any state 3200m that we'll see later this season. The TDF Girls Elite 5K has a lot of girls who were state champions and medalists in their own classification and league from the cross country season. This time, they are all in the same race. Tonight's race will have the top two finishers from last year's record breaking race. McKinney North junior London Culbreath had a TDF record breaking 16:44.83 performance and not far behind her was San Antonio Home School Spartans sophomore Libby McGrath who ran the second fastest time ever at the TDF in 16:51.39. The two stars ran side by side and at the least within a stride of one another for 10 of the 12.5 lap race, providing fireworks and a buzz through the crowd of spectators that waited to see the two elite races. If you think these two young ladies are the only ones in the race worth the price of admission, then you are flat out wrong! Each girl in the Elite 5K race was at their 2018 state cross country meet. As far as the national elite talent, nine girls ran at either NXN or Foot Locker Nationals and three of the ladies qualified individually for both. Also in the race will be five girls from the UIL 6A state XC champions Coppell. It's a given that Culbreath and McGrath are two of the favorites. In fact, Culbreath has won the last two TDF Girls Elite 5K, but there are other girls you won't want to take your eyes off of. Brynn Brown has had quite the sophomore season. In cross, she qualified for both NXN and Foot Locker this Fall. Her track season for Denton Guyer has been as good as could be expected in the DFW weather. She has a 5:03.75 in the 1600m and an impressive 10:29.60 on the 2019 season. The Prosper freshman hit the gas hard the day she put on the uniform and hasn't let up off the pedal yet. She helped her team to a UIL 6A state meet trophy and then propelled them to NXN for the first time ever. She has an impressive 4:56.48 1600m and a 10:53.04 3200m on the season. Cook is another deadly freshman that can run with anybody. This track season, she is really showing out. The kid is fast and has range! She has performances of 2:19.02 - 800m, 5:01.83 - 1600m, and a 10:37.47 - 3200m on the young track season. She just returned from the New Balance Nationals Indoor where she ran 10:31.26 for 12th place. Hillyard is the 2018 UIL 6A state XC champ. She is one of the young ladies who has run nationally with her NXN individual qualification. Hillyard is having a great 2019 track season as well. She has SB of 2:21.37 -800m, 5:16.08 -1500m, and a 10:44.52 in the 3200m. She finished third overall in this race last year with the fourth best All-Time TDF time of 17:10.80. 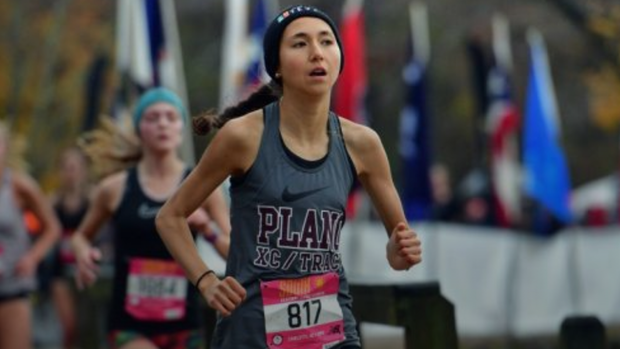 The Lake Highlands senior had a great ending to the 2018 XC season with her 19th overall finish at the Foot Locker Nationals. That momentum has carried over into track season with her SB of 10:51.65. Peeples is healthy this year and has already signed to Florida State for college, so she may just be going for the most in everything! Montgomery senior Allison Wilson is the truth! She made looking like one to the top national runners seem to be easy. She ad been one of Texas' best for three years now, but the jump to the elite level was a huge one. The Alabama signee is an NXN and Foot Locker finalist, Wilson is easily one to consider a threat to win tonight's race. So far on the outdoor season, she has a 4:56.62 and a 10:32.28 both for PRs. Mathis is ready for tonight's race! Last week's 3200m race is the proof as she ran with one of the top runners in the state and won at the Vandegrift Distance Festival. Her 10:48.75 PR looked fairly easy and with more competition for another week, she will bust a good time. Mathis is a front runner, so she will put herself a good position with a shot to win.